Another simple leather scrap project for Father's Day. 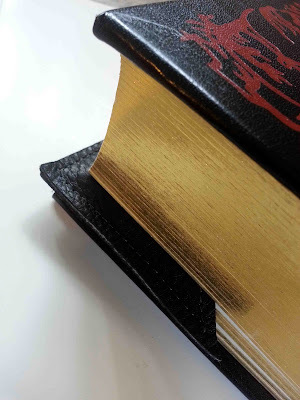 My husband is an avid reader, and being on summer break, he's catching up on his hobby. 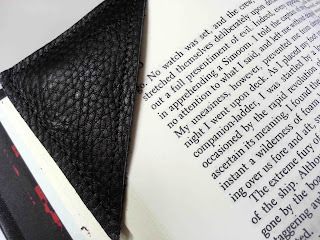 I thought some nice leather bookmarks might be appreciated, especially since there is usually a junk mail envelope, or receipt holding his place in his current read. These are super simple to make. No photo tutorial for this one, but I think that you'll do just fine without. First off, you need to cut two right triangles of equal size. Mine are about 2 1/2 inches long on the right angle sides. The hypotenuse (the diagonal), will be longer. Just make sure that the square sides are equal in length. Next, this is optional, stitch along the hypotenuse edge of each of your triangles. This is purely decorative, but I can't resist. 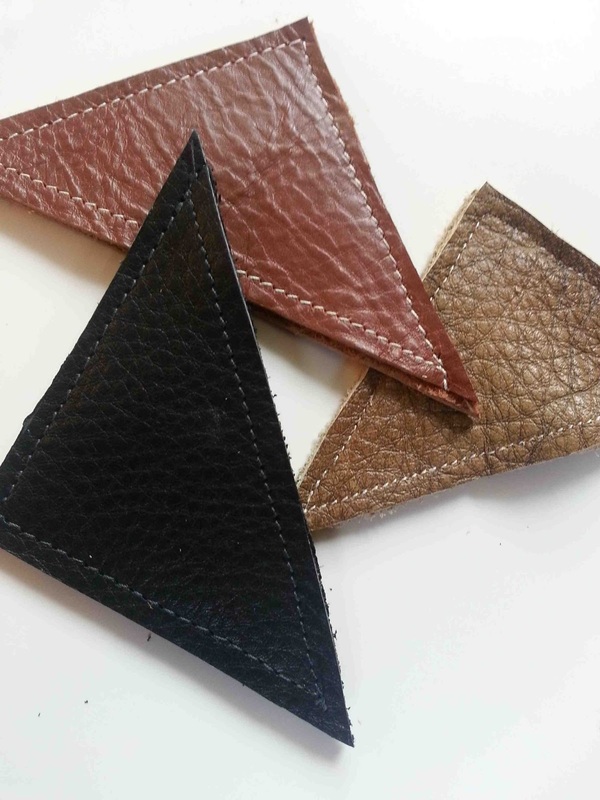 Next, place your leather triangles wrong sides together, and back tacking the start and finish of the stitching lines, sew the pieces together. 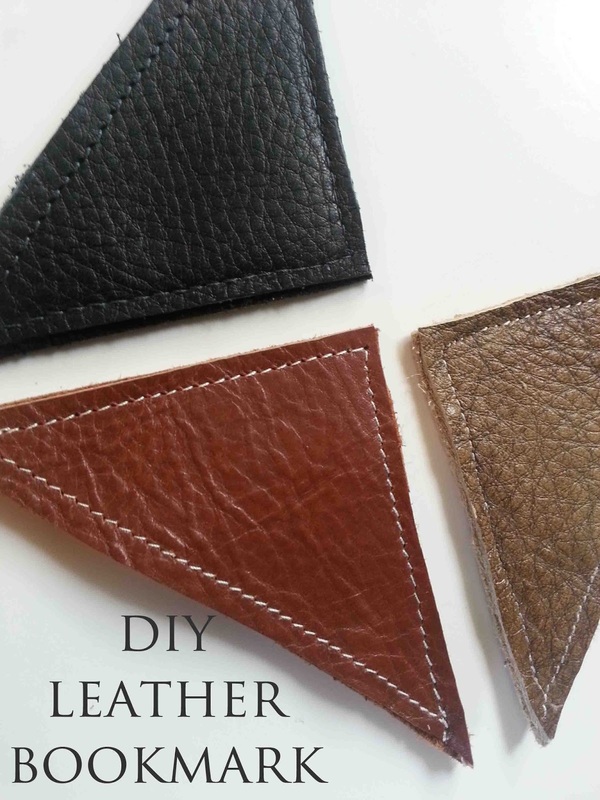 I stitch 1/8" away from the raw edge of the leather. You can lengthen the stitching length if you'd like. Contrasting thread is always a fun touch with leather as well. 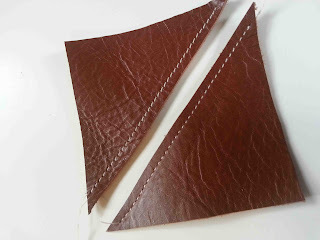 As with sewing any leather project, I recommend using a non-stitch presser foot. You can also reduce the amount of tension/pressure on your presser foot, to help the leather slide under the presser foot. Slide the book pages into the open hypotenuse edge, and mark your place in your favorite book. Dude!! That is so cool! Great idea! !